Annual dues are $25.00 (*family $30.00). The family membership is to encourage spouses and children to participate. All new members receive a membership card and a club jacket patch. 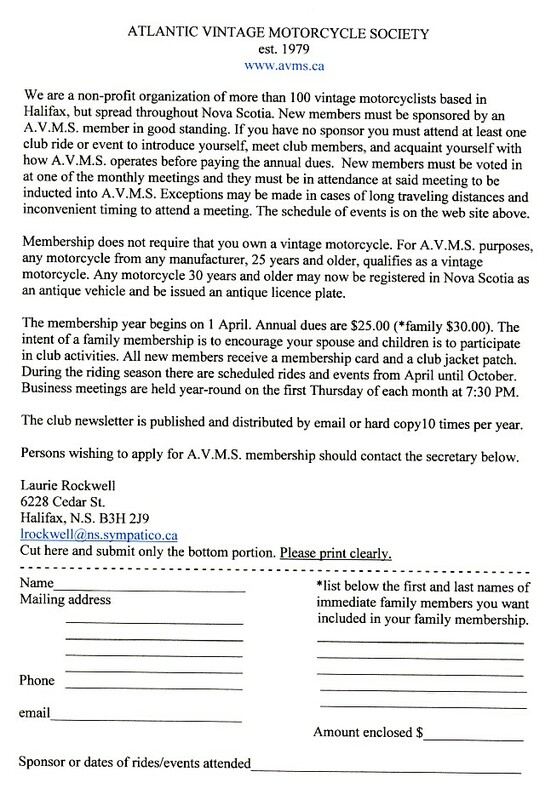 The membership year begins on 1 April and there is no requirement to own a vintage motorcycle to become a member. Download a copy of our application form here.